Explanation: How fast do fundamental particles wobble? 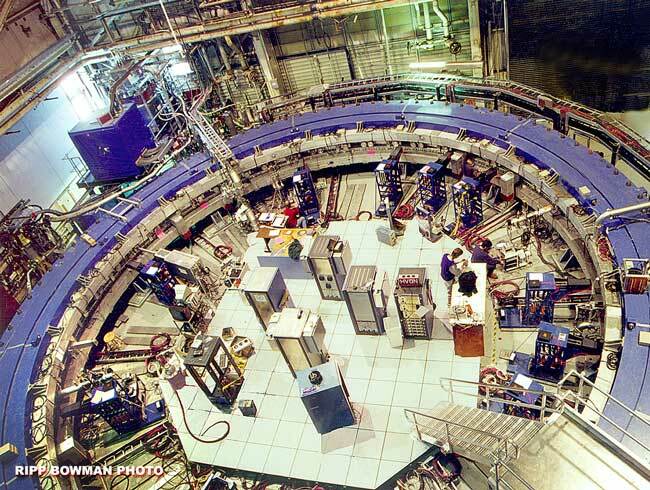 A surprising answer to this seemingly inconsequential question is coming out of Brookhaven National Laboratory in New York, USA and may not only indicate that the Standard Model of Particle Physics is incomplete but also that our universe is filled with a previously undetected type of fundamental particle. 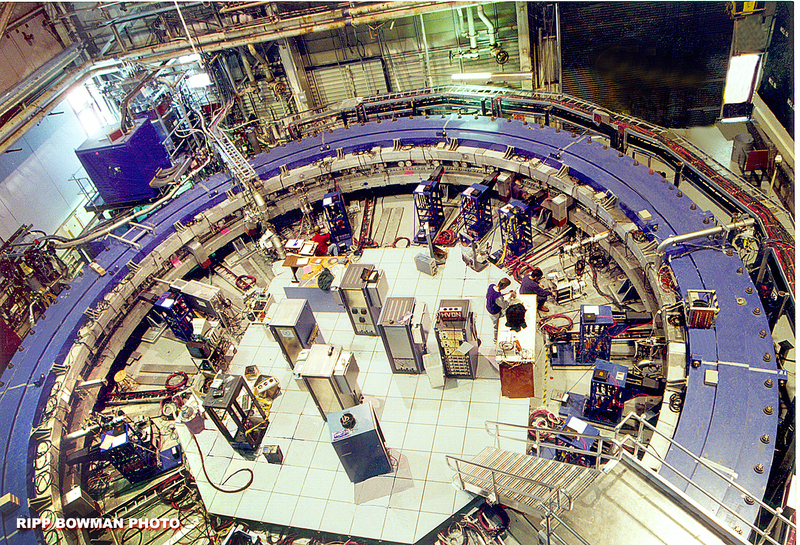 Specifically, the muon, a particle with similarities to a heavy electron, has had its relatively large wobble under scrutiny since 1999 in an experiment known as g-2 (gee-minus-two), pictured above. The result galvanizes other experimental groups around the world to confirm it, and pressures theorists to better understand it. The rate of wobble is sensitive to a strange sea of virtual particles that pop into and out of existence everywhere. The unexpected wobble rate may indicate that this sea houses virtual particles that include nearly invisible supersymmetric counterparts to known particles. If so, a nearly invisible universe of real supersymmetric particles might exist all around us.